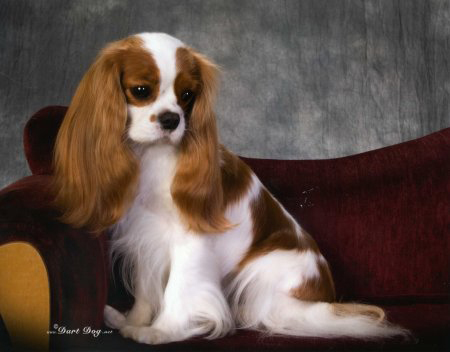 Aria is the daughter of AKC CH Laughing Nessun Dorma and Covington Just for Laughs. Pavi has been a top producing sire and has outstanding drive and reach. He passes this body top on to his progeny. 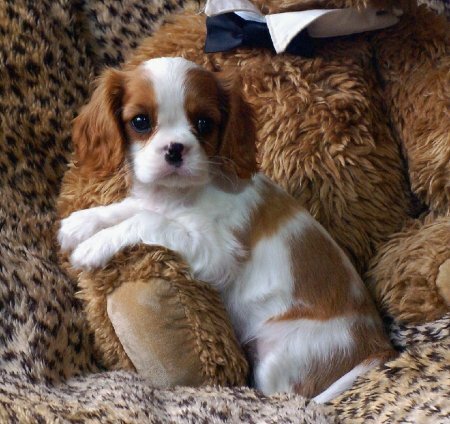 (Pavi is retired and living with his breeder, Barbara Garnett Wilson of Laughing Cavaliers). Aria is a smart as a whip and a delight to live with.